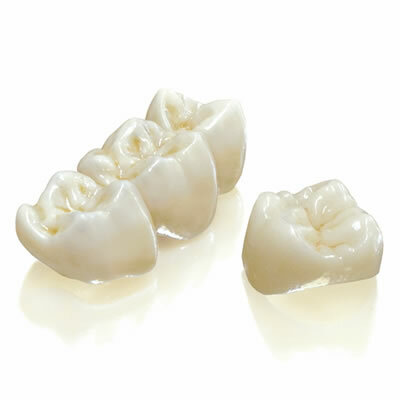 Hard-sintered Suntech Zirconia provides strength and all-ceramic beauty. Sun Dental Labs introduces Suntech Full Zirconia, a CAD/CAM full-contour restoration with no porcelain overlay. Requiring no specialized preparation or cementation, Suntech Full Zirconia is an affordable, esthetically superior alternative to full-cast metal restorations. Indicated for posterior crowns and bridges, these restorations require minimum shoulder preparation and provide perfect marginal fit. The zirconia restorations are strong and durable with a maximum bonding strength of 1300 MPa and a flexural strength of 1200 ± 200 MPa. Because it is monolithic, with no layering, Suntech Full Zirconia is chip-resistant and ideal for bruxers and grinders.